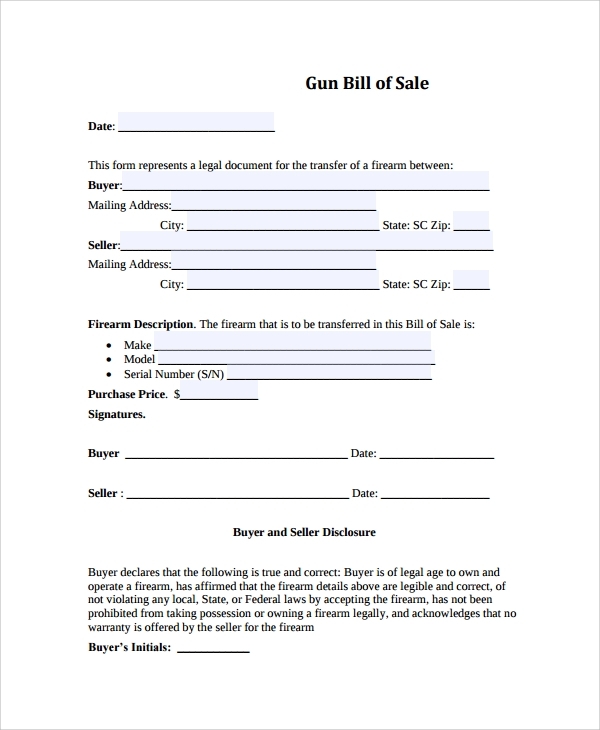 The first section of this bill contains the complete buyer details including address and buyer’s id, phone number and the type of permit ie whether to purchase or carry. Section two includes the make and model details while section three includes the details of the seller. The buyer and seller non-liability is specified at the end of respective sections. Responsibility for misuse by the buyer or fraudulent sale by the seller is also specified. 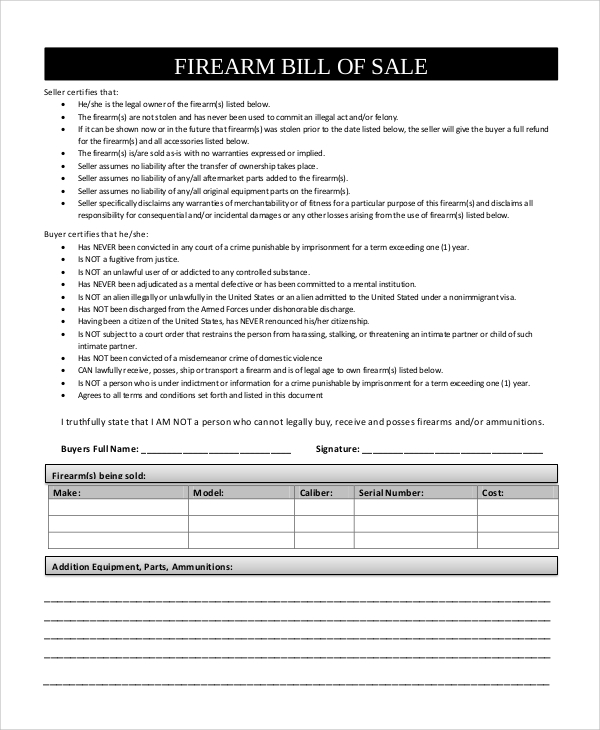 The format in every way remains the same but the core difference between this bill of sale and the previous one is that this one is for used firearms while the former was for new firearms. The rest of the template and the details remain unchanged. The liability and responsibility clause also remain unchanged. 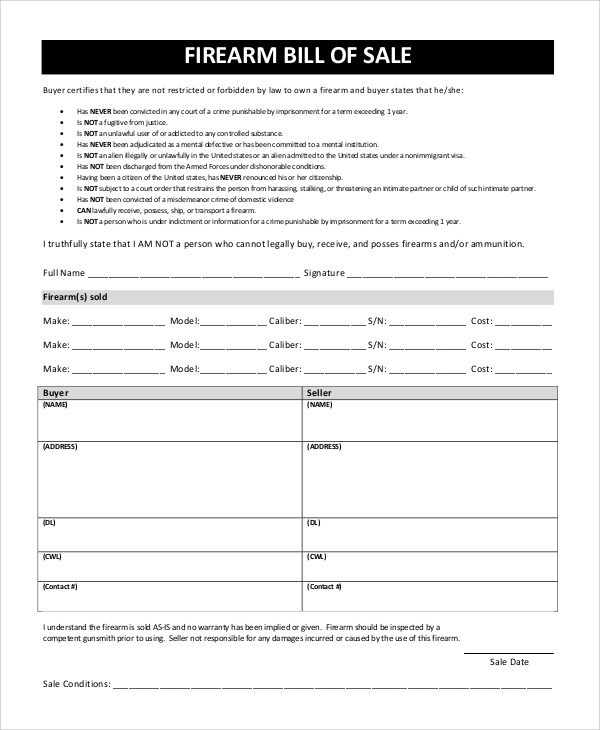 The antique firearm sales form is released by NSW police. The contents of the same are detailed registry and FACT sheet. 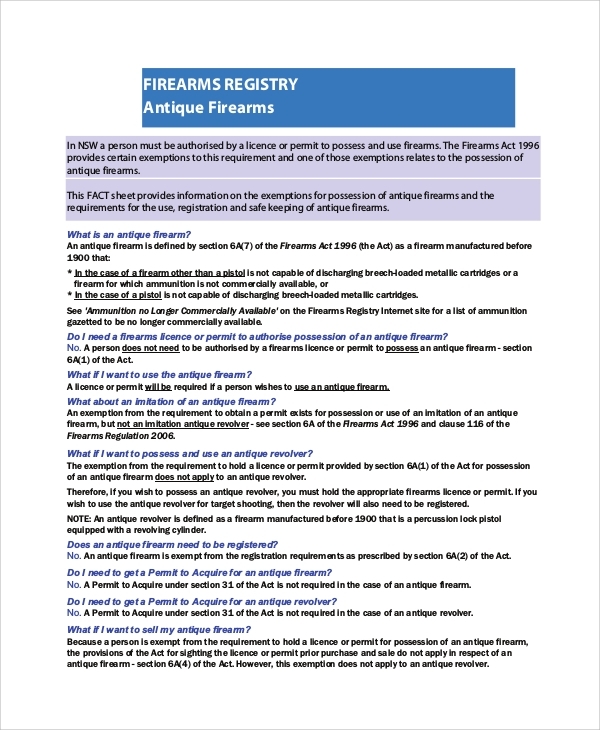 It starts with the definition of the antique firearm act and then proceeds to explain the various provisions of antique firearms and antique revolvers in the form of FAQs including the necessity to purchase and safekeeping provisions. The National Firearms Act of 1934 governs the usage of firearms in the USA. This particular bill of sales governs the transfer of firearms by purchase between two parties who are residents of the same state but are not licensed dealers of firearms as described by Bureau of Alcohol, Tobacco, Firearms, and Explosives (BATFE). The bill of sale is in the form of an affidavit in which the liability and responsibility of both parties is specified. 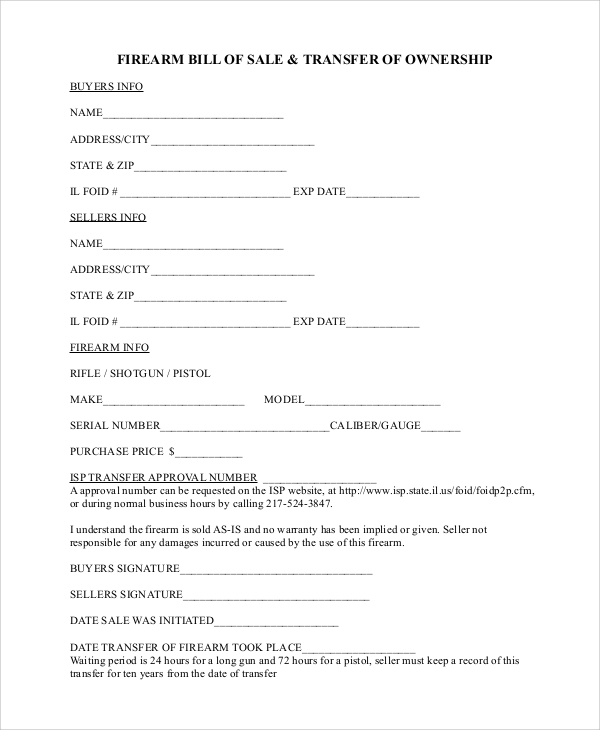 When do I Need a Sample Firearm Bill of Sale? 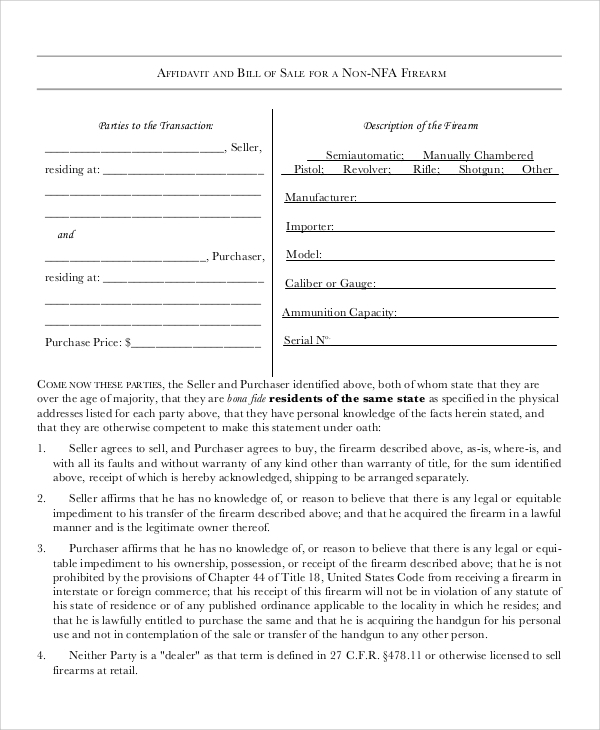 How to Create/Write a Sample Firearm Bill of Sale? 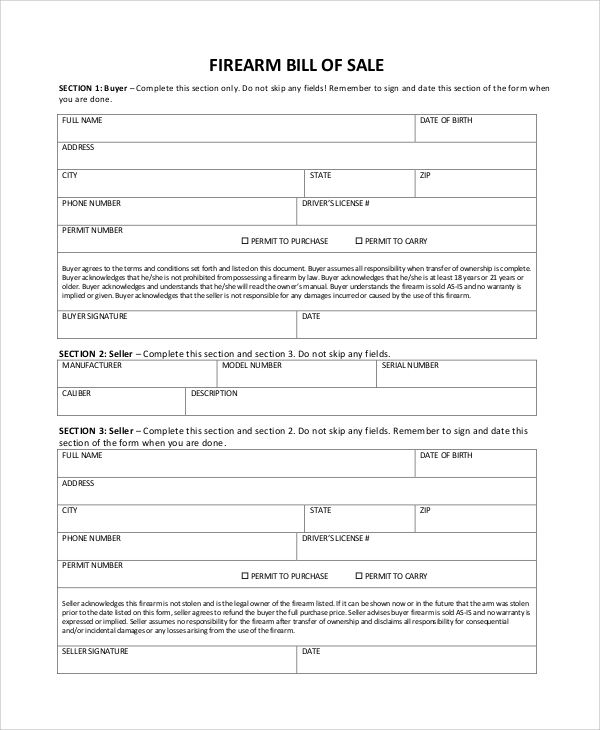 There are various templates of Firearm bill of sales which can be made in conjunction with the legality of the zone/ state / County / District. Templates are available in Customized PDF and word format.